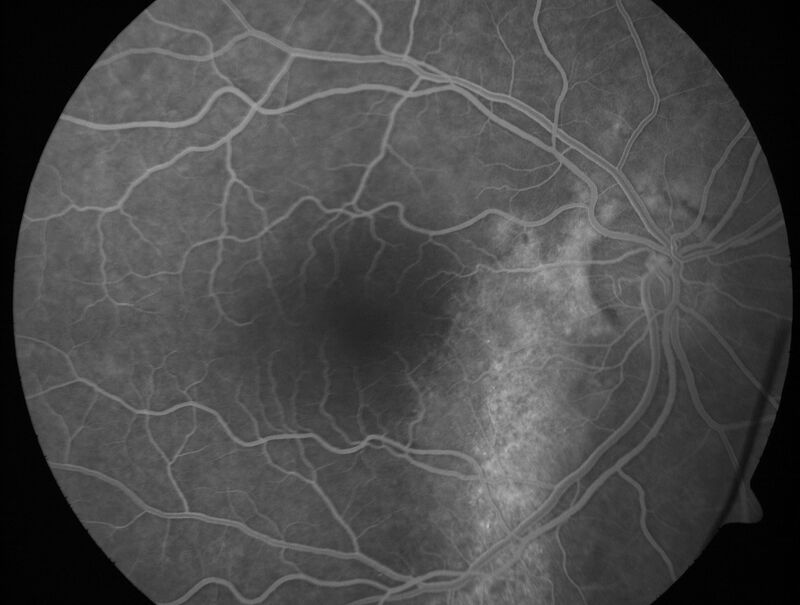 69-year-old man with blurred vision in the right eye for about three weeks. He had a similar episode about twenty years ago which lasted about six weeks. He is not taking any steroids. He takes Lupron injections for his prostate cancer every three months.